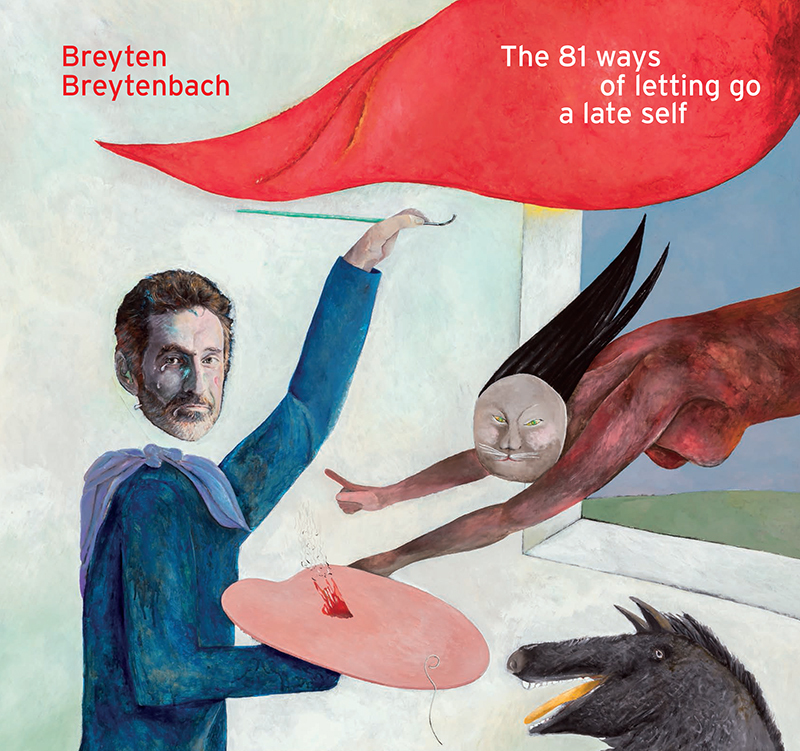 This catalogue accompanies The 81 ways of letting go a late self, Breyten Breytenbach’s first solo exhibition with Stevenson. The exhibition and book are the result of a conversation that started more than five years ago, and has unfolded across Cape Town, where Breytenbach spends a few months each year, the Spanish countryside, his primary residence, and Paris, the city his wife calls home. While a South African audience might be more familiar with Breytenbach as a writer, he initially studied at the Michaelis School of Art. Breytenbach held his first solo exhibition of paintings in 1964, the same year he published his first volume of poems (Die Ysterkoei Moet Sweet) and his first book of prose (Katastrofes). It took place at Galerie Espace in Amsterdam, where Breytenbach shared the roster with Karel Appel and Francesco Clemente, among others. The catalogue starts with 'He who asks is mistaken, he who answers is mistaken', an extended interview with Breytenbach by gallery director Joost Bosland. The text focuses on Breytenbach’s life as a painter, but along the way touches on a wide range of subjects, including his youth in Bonnievale, his iPad, Hannah Arendt, his relationship with his wife Yolande, his time on Gorée, and the utopian imagination. The catalogue contains reproductions of five new drawings from the Gongshi series, 18 works on canvas ranging from 1968 to 2018, and a selection of earlier works on paper.